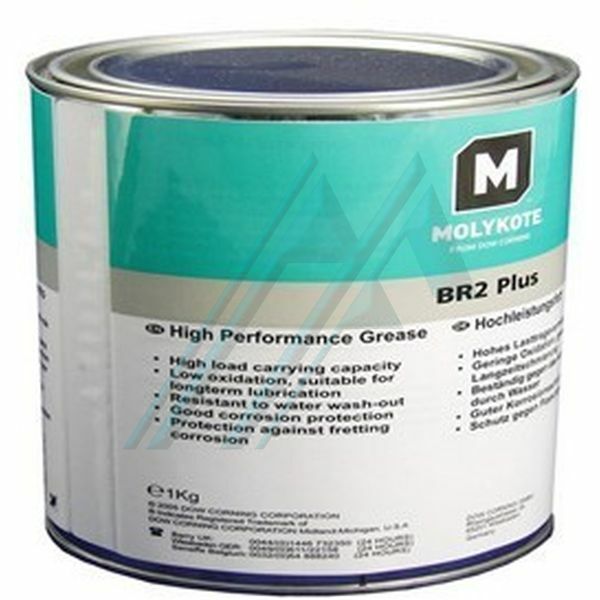 Home>Oils and lubricants>Lubrication and greasing>Oils and fats>Multi-functional grease>Grease Molykote BR 2 Plus 1 kg. Grease Molykote BR 2 Plus 1 kg. Fat of high performance with solid lubricants for combinations metal/metal subjected to movements from slow to fast, particularly with medium to high loads. rollers, boards, label, axes grooved and threaded spindles threaded. - High protection against contact corrosion. Composition: mineral Oil, lithium soap, solid lubricants, EP additive, corrosion inhibitor.